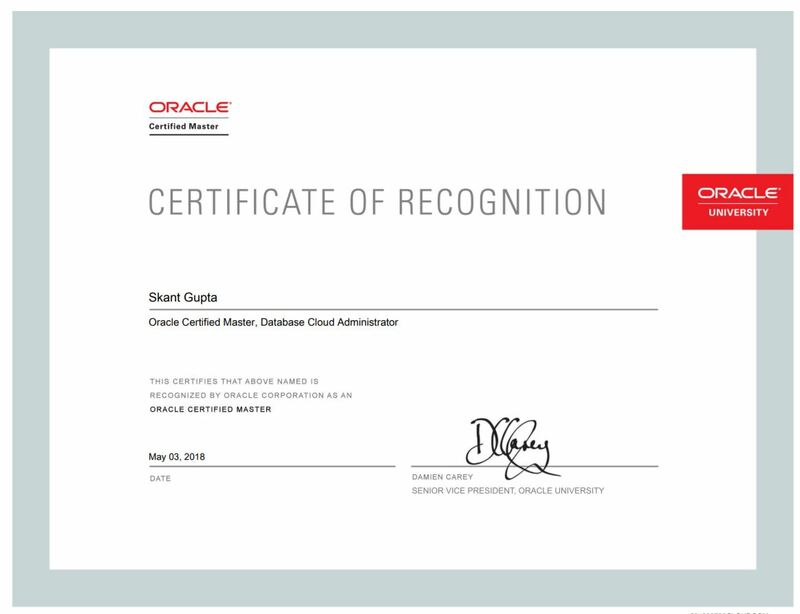 Finally, I’ve successfully achieved Oracle Certified Master, Database Cloud Administrator. Pass the exam Oracle Database Cloud Administration (1Z0-028) But Exam is already retired in May 2017. Those who have already cleared the exam 1Z0-028, they will only able to get OCM Cloud. How to become OCP & OCM Cloud! !